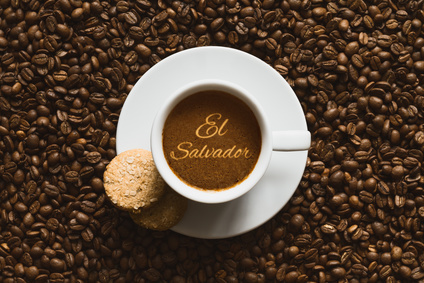 El Salvador has come a long way as one the most efficient coffee producers in the world. By 1880 gourmet coffee had become the main export crop passing indigo. Since coffee was in such high demand, the Government introduced legislation such as tax breaks for farmers and elimination of export duties for coffee producers. This led to the development of roads and railways leading to the farms, and the integration of indigenous communities into the national economy. This coffee type boasts a classic cup. It is speciality coffee (SHG), and it's also Rainforest Alliance certified. To be RFA certified means having standards that are intended to protect the environment and the rights of workers. This certification allows the farmers to have a sustainable farm-management system, control costs, gain efficiencies, improve crop quality, and maintain the wildlife habitat. In sum, the certification ensures consumers that the Rainforest Alliance certified coffee that they drink supports sustainable supply and demonstrates the importance of responsible coffee sourcing. RFA (Rainforest Alliance) standards that are intended to protect the environment and the rights of workers. SHG (Strictly High Grown) specifies that the coffee was grown at an altitude around 1350 meters. Coffee grown at a higher altitude and lower temperature produces a slower maturing fruit and a denser bean; which creates a more desirable speciality cup. The Rainforest Alliance is an international non-profit organization with over 30 years' experience in the development and promotion of sustainable standards in farming, forestry and tourism. These standards protect the environment and promote the well-being of workers, their families and their communities. In nearly 80 countries around the globe, the Rainforest Alliance works with farmers, foresters, hoteliers and carbon project managers to produce goods and services responsibly and to bring them to a global marketplace. Rainforest Alliance Certified™ farms, tourism businesses and Forest Stewardship Council™ certified forest operations meet comprehensive standards that protect the environment and promote the rights and well-being of workers, their families and communities.